On 28th January 2013, the AV-TEST Institute will be awarding the AV-TEST AWARD for the best IT security products for protection against malware of the year 2012 in the categories of PROTECTION, REPAIR and USABILITY. 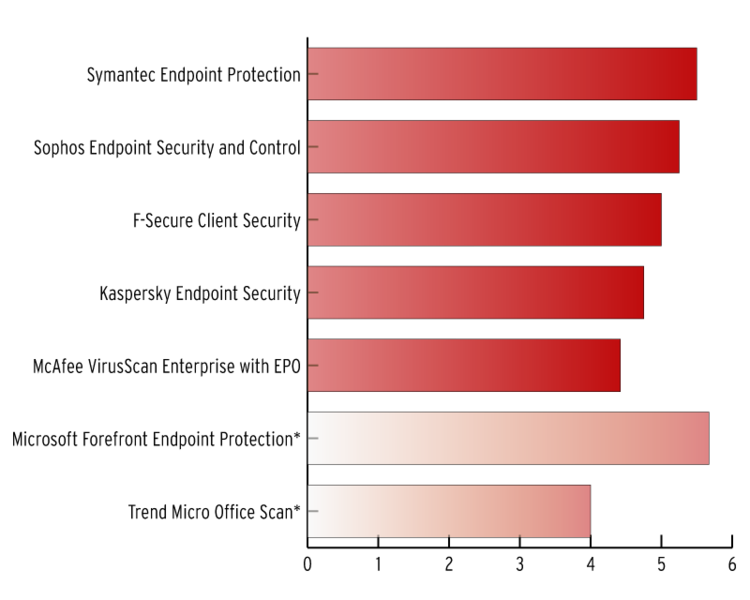 In the field of home-user products, the companies F-Secure, Bitdefender and Symantec were able to successfully come out on top against other well-known providers in the independent certification procedure for 2012, while the providers Kaspersky and Symantec achieved the award in the field of corporate products. The AV-TEST AWARD FOR BEST PROTECTION 2012 will be presented to the best product of the year in terms of its protective effect. This category evaluates products according to the protection that they provide against current threats such as malware infections caused by zero-day attacks and scenarios such as infections caused by malicious websites and e-mails. The AV-TEST AWARD BEST PROTECTION 2012 for home-user products will be presented to F-Secure Internet Security and the winner of this category in the field of corporate products is Kaspersky Endpoint Security. 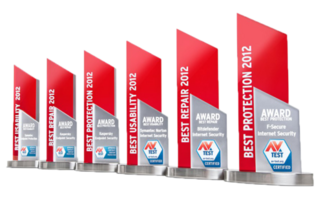 The AV-TEST AWARD FOR BEST REPAIR 2012 will be presented in recognition of the repair performance of a security solution. This category assesses products’ effectiveness with regard to their detection, repair and cleaning performance when used in a system infected with malware. One of the main factors examined in this category is a product’s ability to remove malicious components and those that make changes to systems and to detect specially hidden rootkits. The AV-TEST AWARD FOR BEST REPAIR 2012for home-user products will be presented to Bitdefender Internet Security and the winner of this category in the field of corporate products is Kaspersky Endpoint Security. The AV-TEST AWARD FOR BEST USABILITY 2012 will be presented to the security software that has the least influence upon a system once installed. 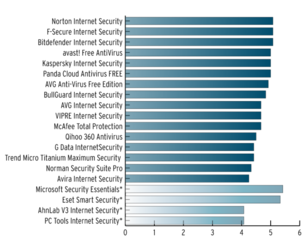 The candidates were examined according to the influence of their security software with regard to warning messages and blockages, false positives during system scans and whether the computer slowed down while the software was being used. The AV-TEST AWARD FOR BEST USABILITY 2012 for home-user products will be presented to Symantec Norton Internet Security and the winner of this category in the field of corporate products is Symantec Endpoint Protection. In order to qualify for an AV-TEST AWARD, products must have passed all of the certification procedures carried out by AV-TEST on home-user or corporate products in 2012. These certification procedures take place every two months. They cover the test categories of PROTECTION, REPAIR and USABIILITY and examine products in terms of their performance when providing protection against current threats. All analyses are carried out simultaneously under realistic test conditions. 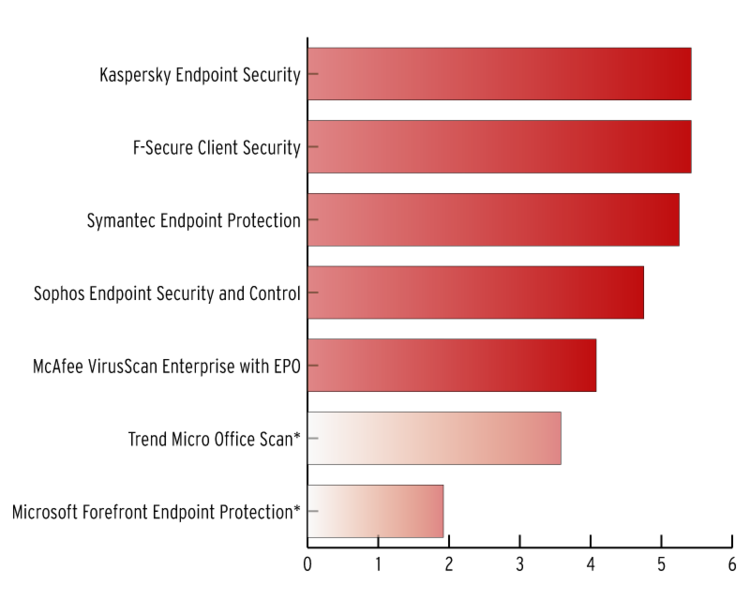 The independently recorded results are then measured against the current industry average in the sector and evaluated according to this average. In the case that two products achieve the same test results, the winner is decided on the basis of the precise, not rounded results. * The following products did not pass all of the tests carried out in 2012 and were therefore not considered for the 2012 AWARD: AhnLab V3 Internet Security, Eset Smart Security, Microsoft Security Essentials, Microsoft Forefront Endpoint Protection, PC Tools Internet Security and Trend Micro Office Scan. ** These products are not listed above because they did not participate in all of the tests carried out in the year 2012: Check Point ZoneAlarm Free Antivirus + Firewall, Fortinet FortiClient Lite, K7 Total Security, Lavasoft Ad-Aware Pro Security, Panda Internet Security, Tencent Produkt PC Manager, Trend Micro Worry-Free Business Security, Webroot Secure Anywhere Complete and Webroot Secure Anywhere Endpoint Protection. 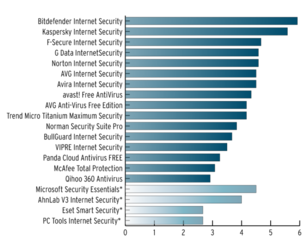 Please note: Bitdefender and F-Secure both achieved the same points totals in the category of PROTECTION for home-user products. The precise, not rounded, individual results from the six certification tests revealed a winning margin of 0.125 points for F-Secure. In the PROTECTION category for corporate products, the precise comparison of points totals revealed a winning margin of 0.375 points for Kaspersky ahead of F-Secure. 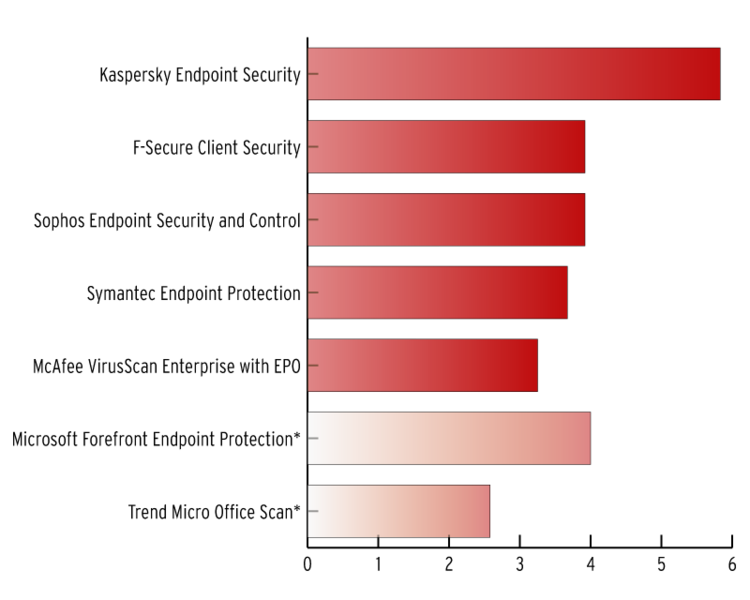 Another close result was recorded in the category of USABILITY for home-user products, in which Symantec came out 0.667 points ahead of F-Secure followed by Bitdefender. By awarding the AV-TEST certificate, the AV-TEST Institute confirms that the products that it has analysed and evaluated as secure complied with the security level when tested. The certificate provides evidence that the tested product has achieved all of the levels of performance required and defined by AV-TEST in the categories of PROTECTION, REPAIR and its influence on the USABILITY of the system. The certificate number specified on the seal of approval refers to the detailed test report. The AV-TEST AWARD sends out an important signal for the need for the sustainable promotion of innovations to protect systems from online attacks. The aim of the award is to motivate manufacturers of anti-virus products to optimise their products and to contribute towards increasing public awareness of the growing importance of the issue of IT security. AV-TEST presents this award in order to honour effective anti-virus products that offer a performance that contributes towards establishing current standards in the field of IT security and play an influential role in the area of prevention. The AV-TEST AWARD is awarded once every year at the beginning of the subsequent year. 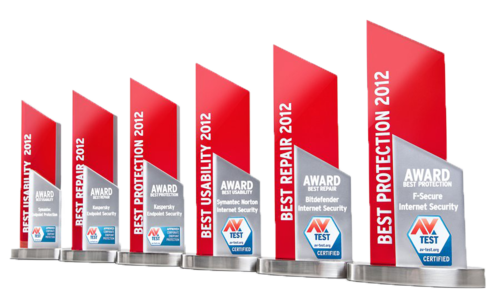 A total of 6 AV-TEST AWARDS are presented in three test categories: PROTECTION, REPAIR and USABILITY. The data required for the selection of the award winners are collected in independent tests and determined according to the annual average of all certification tests carried out in the fields of home-user and corporate solutions. 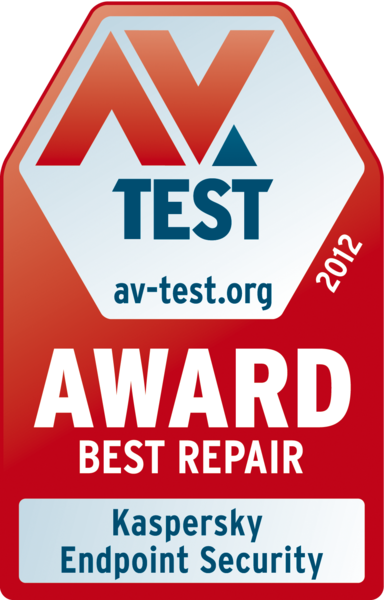 The AV-TEST AWARD reflects the products’ performance in the year 2012. The winners of the AV-TEST AWARD 2012 shall receive the product-specific AV-TEST AWARD logo 2012. 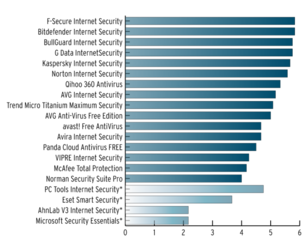 This displays the manufacturer and product name, as well as the year in which the award was granted. The winners will be given the logo for use on advertising material and can use it for marketing and PR purposes (e.g. displaying and linking it on their websites, on social media, in press releases and on product boxes) at their discretion. AV-TEST distances itself from misuse of the logo or use of the logo in an unrelated context. The authenticity of the AV-TEST AWARD logo can be checked at anytime by viewing and examining the test reports available at www.av-test.org/en/.